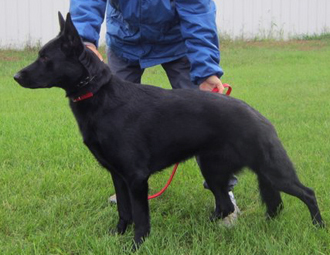 Natasha is a solid black female with a happy temperament. 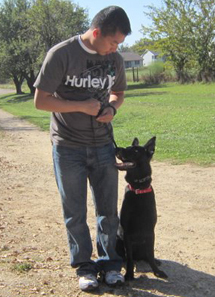 She is excellent with children and non confrontational with other dogs. 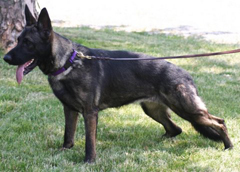 With her excellent Czech/Slovak/German working pedigree she will bring forth a strong background genetically, for high level sport as well as for serious and dependable police work. 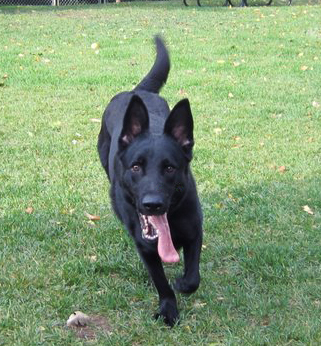 Natasha, aka Tasha is a small, very agile female, with great athletic ability. 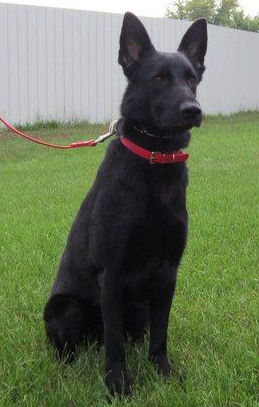 We will be testing Tasha for several working venues; herding, SAR, agility and Schutzhund, in order to determine where her special abilities and strengths lie, and are confident that her genetic working background will be an asset in these working fields. 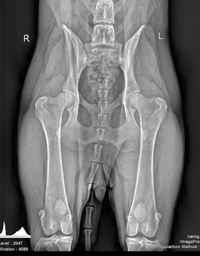 Tasha conducts herself in a mannerly way in public showing steady and sure nerves, with a confident, friendly and outgoing nature presented to everyone she greets. 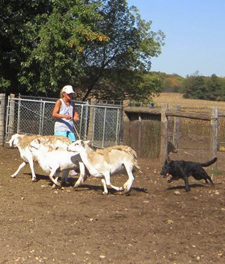 Natasha has started foundation obedience training and has obtained her CGC, and HIC in herding with Melinda. 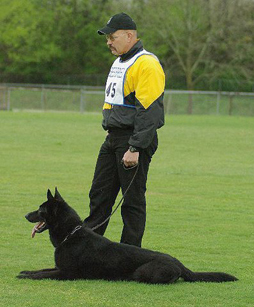 SG Erri z Blatenskeho Zamku, was trained by and competed for Eurosport K9, and has gone on to be further trained and competed as partner with Co-owner Mike Diehl of Diehl's K9 training. 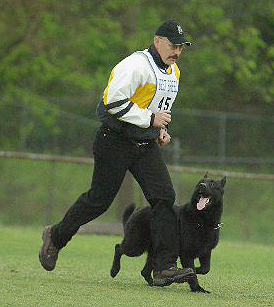 Together Mike and Erri became an incredible working pair, with their most recent working trial accomplishments being the 2010 AWDF, Indianapolis Indiana 96/97/99: 292...!! 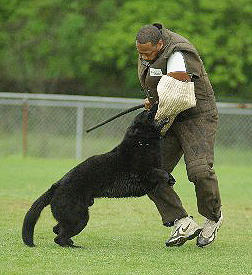 earning Second place and high obedience. 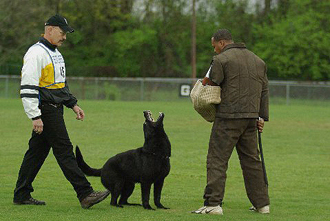 2010 USA WORKING DOG CHAMPIONSHIP GARDEN CITY, OHIO 97/99/94 290 First place and High obedience , and as World Team Member for USA in 2009 WUSV Krefeld Germany 95/87/96 earning 278 helping secure 4th place for Team USA, with Mike and Erri earning16th place overall in the final individual World competition standings. 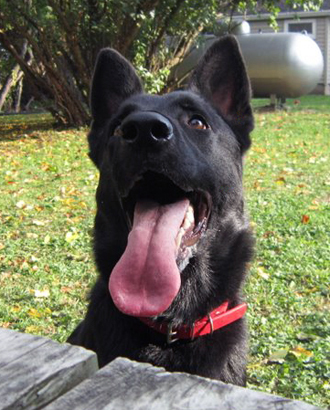 Erri is now retired from competition, residing with Mike. 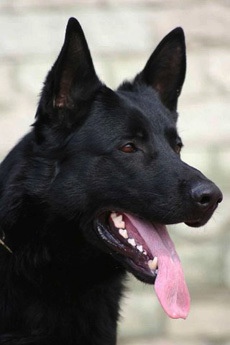 Natasha 's grand father, Erri's sire, is WUSVX6, SCHH3, IPO3, ZVV3, ZM, SG Orry (IT), Orry's sire is World competitor SCHH3 IPO3 WUSV Dingo von Conneforde and Orry's Dam, WUSV 1999, FCI 1999, 2000, IPO3, SCHH3, ZVV2 SG Warra Gymor. as well as SCHH3 (G-BSP) FH1 IP3 SG Pike von der Schafbachmühle. 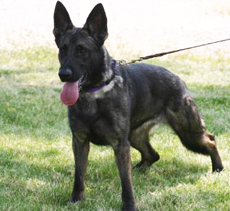 Natasha's Dam: Carlie Vom Haus Fleming is the granddaughter of, and linebred 2/2 on, the excellent working police dog '00&'02 WPO CHAMPION Stormfront's Brawnson. 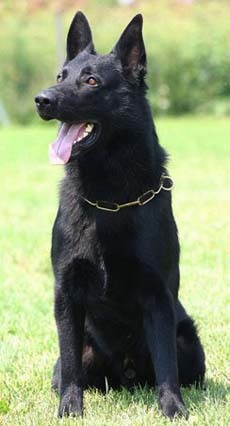 Click to view additional comments from Eurosport and the outstanding working qualities they admired in the tremendous working dog, Stormfront's Brawnson. 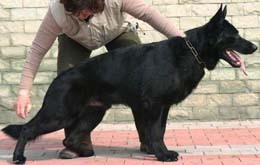 Natasha's dam Carlie is also linebred 3/3 on the WUSV Competitor, SCHH3,IPO3, MS WUSW 1991 SG Arko Honest CS, making Natasha's working pedigree an exceptional combination for producing working pups which will be suitable for a vast range of varied working venues.